Get Out the Word About SOF! 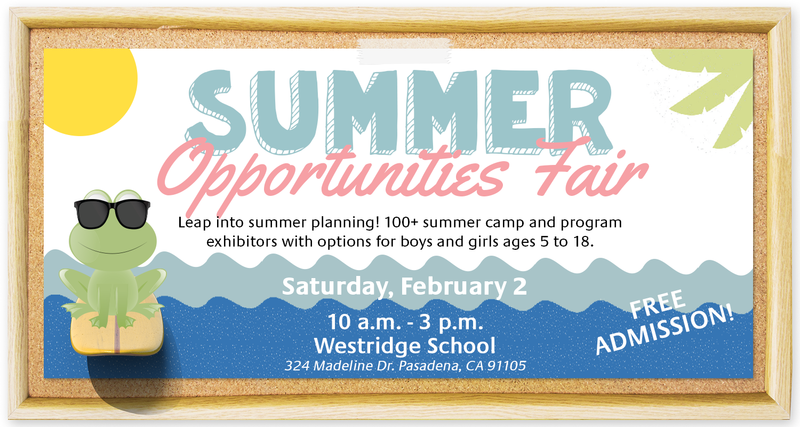 The 28th annual Summer Opportunities Fair (SOF) is right around the corner and we need you to help us get the word out about this great event. How can you help? Invite your friends and neighbors! Post about SOF on your social media accounts. Here are links to SOF Facebook, Instagram (@westridgeSOF), and Twitter posts. Are you on NextDoor? Let the families in your neighborhood know about our event. Paper the town with SOF postcards. Next Tuesday, January 15, we will be giving out bundles of SOF postcards during morning carline and sending them home with bussing students. Please help us by handing these out at your child’s next soccer match or basketball game, give them to your coworkers, leave a stack at your local dry cleaners or coffee shop. Anywhere and everywhere parents gather is fair game. Remember this is a free event, open to the entire community and is the Westridge Parent Association’s primary fundraiser. Thank you! !